Miss Montgomery: You're new here. I bet you aren't even armed yet. Tony: Oh no, I'm just here to register for classes. 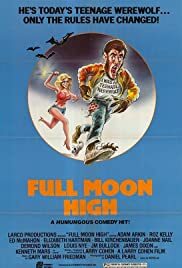 "Full Moon High" is a werewolf horror/comedy that got released in the year 1981, meaning almost simultaneously with two of the greatest classics in the same sub genre, namely "The Howling" and "American Werewolf in London". No wonder practically nobody remembers this film. While certainly not as great as those two, "Full Moon High" nevertheless deserves a little more praise from the genre fans and a little more recognition in general. The film definitely hasn't got the same premise as the other werewolf classics and goes straight for laughs. Tony, a popular American high school student and fanatic football player travels to Romania with his sleazy businessman father. While the latter is talking about the promised land to a couple of prostitutes, Toney receives bad news from a local fortune teller and gets attacked by a red-eyed werewolf at night. He transforms for the first time on the plane back to the States, but nobody notices because hijackers blindfolded everyone on board of the flight. What an oddball sequence that was, actually. Once back at his school and surrounded by his obsessive girlfriend and football buddies, Tony can't resist to bite girls in the bums and decides to disappear. Twenty years later, he returns to his hometown and is mistaken for his own son. "Full Moon High" is, as said already, a straightforward comedy and I'm really not used to seeing that from writer/director Larry Cohen. 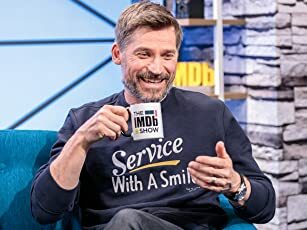 True, his film always contain social mockery and black comedy (like "Q – The Winged Serpent" and "God Told Me To"), but this really feels like a liberating side project for him. There's too few horror for my liking, for example the transformation sequences are worthless, but I appreciated the film as a relaxing and occasionally very hilarious horror comedy.